After all the indulging in San Francisco and then Barcelona it was nice to go for a long bike ride when I got home. 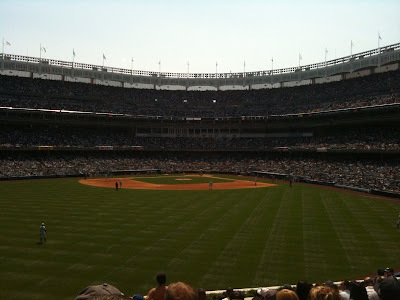 It was really hot riding my bike along the Hudson River park and then to Yankee stadium for a game against the Indians. Bleacher seats were 14$. 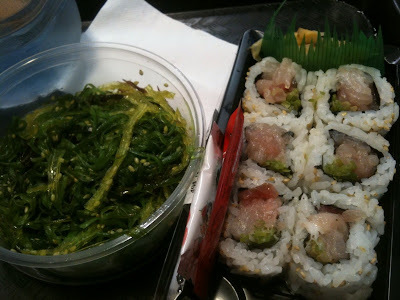 To keep on the health kick, lunch was at Sunrise Mart in Soho: seaweed salad, hamachi roll.